I am pleased to announce my election to the Board of American Society of Interior Designers (ASID) Florida West Coast (FWC) chapter as Member at Large. David Calvin believes in giving back. 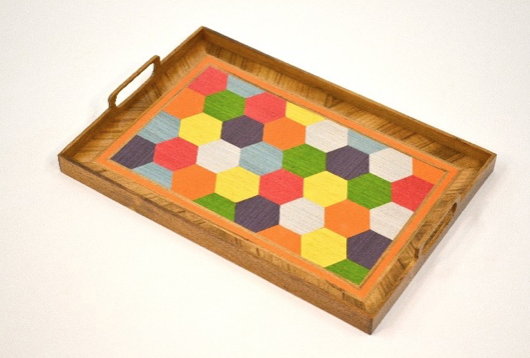 In the last four months, has donated his work for three charitable auctions and giveaways.Most recently, he designed this fun Hexi Tray to be given away in a drawing with a Hexipuff Quilt sponsored by Stash – A Place for Yarn. Proceeds will be donated to Suncoast Voices for Children. 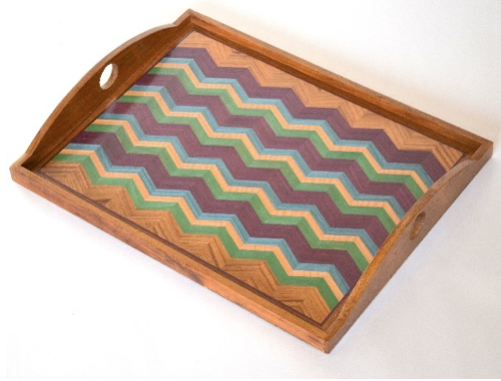 In support of Sherwood Forest, David created a Teak Chevron Tray inlaid with green, blue, and purple. 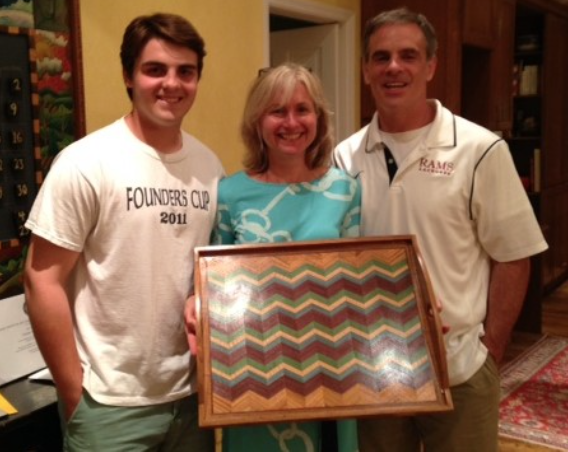 Proceeds of this silent auction item will benefit disadvantaged youth in Missouri. 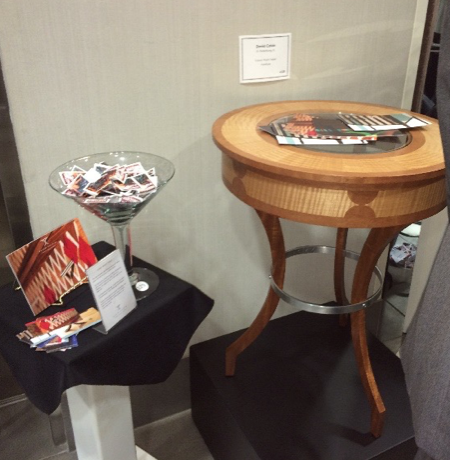 David used wood (madrone burl and curly angire), glass, and metal to create this special edition Cinched Waist Table. 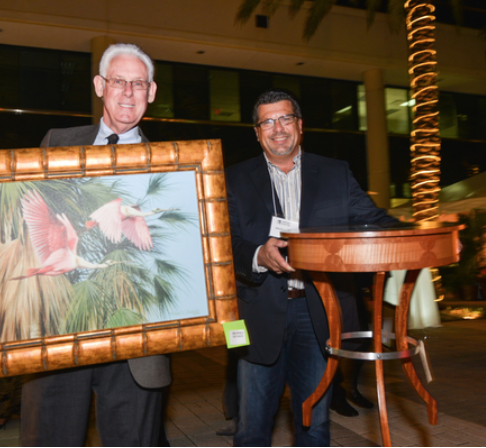 He was one of 80 artists to donate work for the Martinis and Matisse event, an “art lottery,” to benefit Clearwater Free Clinic. 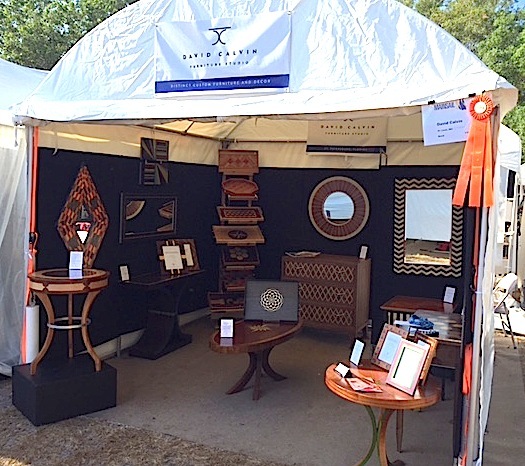 David Calvin received an Award of Distinction for his furniture and home décor at the Mainsail Art Festival in St. Petersburg, FL on April 18-19. He was one of 250 artists selected for the show from more than 1,000 applicants. 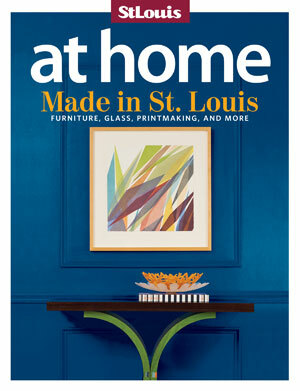 Mainsail is consistently named one of the “100 Best Fine Art & Design Shows” in the nation by Sunshine Artist magazine. 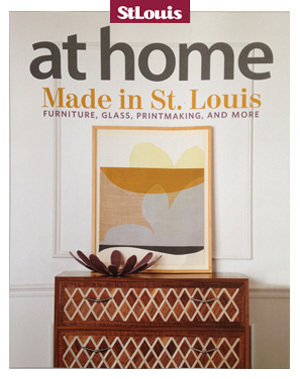 St. Louis’ premiere city magazine featured David’s work on both covers of its Home edition in August 2014. 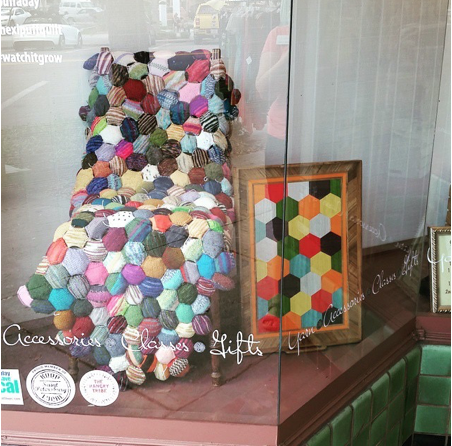 Read the accompanying story to see more of David’s pieces and learn about his background and approach.